Here is the schedule for the 2018-2019 ALC Concert Series. Performances are held at Anchorage Lutheran Church located at 1420 N Street. Concerts are on Sunday's at 4:30 unless otherwise noted. As always, admission is free but donations for the performers are gladly accepted. Come enjoy the beautiful playing of Brazilian violinist Márcio Cândido. His program will feature works by Bach, Paganini, and Bosisio. The concert is free and family friendly. Donations are gratefully accepted. 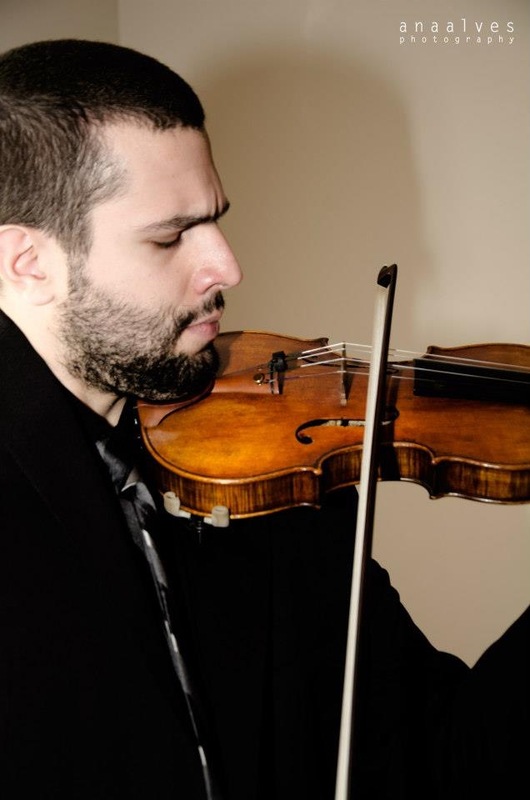 Márcio Cândido has extensively performed in the three Americas as soloist, concertmaster, and in chamber music collaboration. As soloist he has appeared with the Orquestra Filarmônica do Rio de Janeiro, Orquestra Sinfônica da Bahia, Orquestra de Câmara da UNIRIO, and the New England Repertory Orchestra. He has appeared as concertmaster of the Boston University Symphony Orchestra, Boston Civic Symphony, Longy Chamber Orchestra, Jamaica National Orchestra, and Orquestra de Câmara of the Federal University of the State of Rio de Janeiro. In chamber music, Mr. Candido has collaborated with many distinguished players, including members of the Boston Symphony Orchestra, the l’Orchestre National Bordeaux, and prominent faculty members from renowned worldwide universities. Additionally, Mr. Candido is a founding member of the duo Arco-Mano, a violin-guitar ensemble, performing actively worldwide. Mr. Candido is a winner of several prizes, including the 2016 Boston University J.S. Bach competition, UNIRIO Concerto Competition (Rio de Janeiro, Brazil), Bahia Symphony Orchestra Concerto Competition (Salvador, Brazil), and the IX Magda Taglia Ferro Chamber Music Competition (São Paulo, Brazil). Furthermore, he was elected member of the Society of Pi Kappa Lambda in April, 2016. Mr. Candido studied with Brazilian violinist Paulo Bosisio at the Federal University of the State of Rio de Janeiro, Brazil, where he received his Bachelor degree. In the United States, he studied with renowned pedagogue Eric Rosenblith at the Longy School of Music of Bard College, where he received his Master of Music degree. Additionally, Mr. Candido was a recipient of a special scholarship from Longy to study with legendary violinist Roman Totenberg. He has performed in masterclasses for Richard Roberts, Soovin Kim, James Buswell, Lucie Robert, Salvatore Sciarrino, Muir Quartet, Peter Zazofsky, Eduard Schmieder, Charles Castleman, Roman Totenberg, Eric Rosenblith, Claudio Cruz, and the Pacifica Quartet. Additional studies include Kazuko Matsusaka, Julie Rosenfeld, and Philip Setzer. Mr. Candido also studied with prominent violinist Peter Zazofsky at Boston University, where he received his Doctor of Musical Arts degree. Mr Candido was a faculty member at Thayer Performing Arts Center where he held a violin/viola teaching position from 2009-2018. Additionally, he held a teaching assistant position at Boston University from 2014-2017.